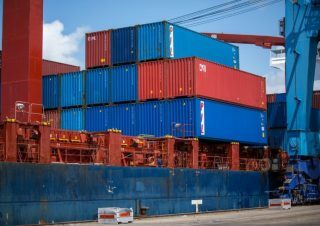 A Filipino seafarer died after a container struck him at Southbank Quay, Ringsend, Dublin, on November 14, when he was doing lashing work while container lifting operations were underway, the International Transport Workers’ Federation (ITF) informed. The ill-fated mariner was a crew member of the Antigua and Barbuda-flagged containership MV Francop. The 2003-built vessel arrived to Dublin from Maasvlakte, Rotterdam, on November 12, based on its latest AIS data. “Our thoughts go out to the family, friends and fellow crew members of Dennis Gomez Regana. But let’s be clear, he never should have been put in this dangerous position,” ITF’s maritime coordinator, Jacqueline Smith said. “The ITF and ETF are clear that it is better for dockers and seafarers if this work is done by dock workers. Lashing is dockers work, full stop,” ITF dockers section representative Peter Lahay added. The Irish authorities have launched an investigation into the incident.